In 1983, Mike postponed his band directing career in order to take a shot at becoming a full-time professional trumpet player. He moved to Denton, Texas and attended the University of North Texas (formerly North Texas State University). For two years he played lead trumpet in the famed One O'Clock Lab Band directed by Neil Slater. He also studied trumpet with Keith Johnson and during the summers he studied with the Legendary Don (Jake) Jacoby. During this time, he recorded four albums with the One O'Clock band which includes a tribute to Stan Kenton "With Respect to Stan" and "Live in Australia." After three years at UNT, he went on the road with the Glenn Miller Orchestra. After two months, He received a call from Frank Foster, leader of the world famous Count Basie Orchestra, who asked him to join as the lead trumpet player. In September of 1987, he joined the band and has been with them since that time. Some of the highlights of being with the Basie Band include a Columbia Artists Tour with both Dizzy Gillespie and Billy Eckstine (on the bus) for two months! With the Basie Band, he has recorded over 15 CD's, three of which were Grammy winners. He has performed in all 50 states and over 40 countries as well as performed for the King of Thailand, presidential inaugurations, and also in jazz festivals in several countries. He has also been broadcast in numerous live television and radio shows across the world. 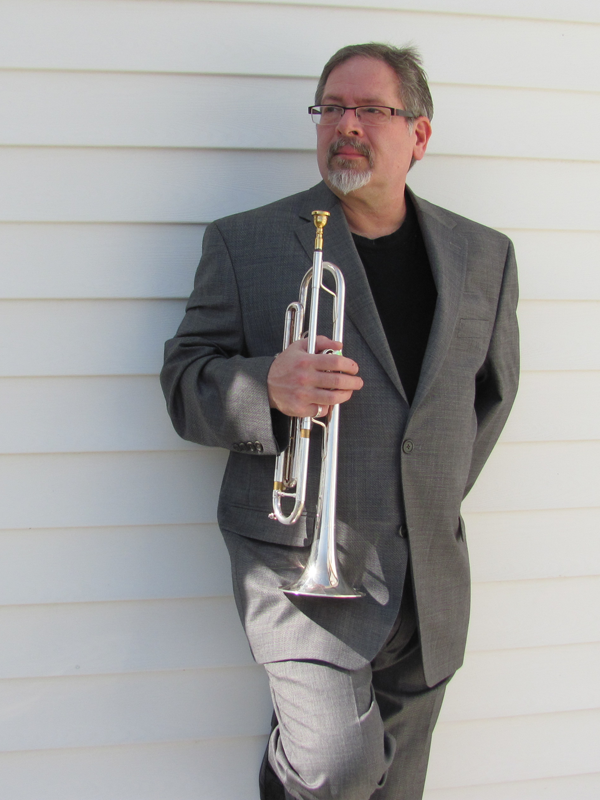 When off the road, Mike teaches privately and performs as guest soloist and clinician with universities and high schools across the nation. He teaches at jazz camps and free lances in the Detroit area and has traveled with the Steve Lippia Big Band, "Simply Sinatra" for several weeks at a time. He is heard playing lead with the Steve Wiest Big Band on "Excalibur" through the Arabesque label. He also plays lead trumpet with the Charles Tolliver Big Band and has been the lead player with Christian McBride's Big Band "A Tribute to Marvin Gaye." For many years, Mike has made appearances as the lead trumpet and featured soloist with the Shreveport based big band "Super Sound" directed by his good friend and fellow trumpet player Bill Causey. Mike resides in Lapeer, MI with his wife Amanda, their son Wyatt, and their two cats, Gozzo and Jacoby.